Dutch ovens are valuable dishware essential for any well-stocked kitchen. Whether you need to prepare your favorite traditional recipe or wholesome, home-cooked meals, a dutch oven provides versatility and quality for your completed meals. With a wide selection of dutch ovens available, many individuals find it daunting to narrow down the search. A look at some of the best expert recommendations for dutch ovens will ensure that you choose cookware to make meals fit for a king. A dutch oven is a durable cooking pot that comes with a matching, snug-fitting lid. Originally, manufacturers fashioned dutch ovens from cast-iron. With today’s technology, dutch ovens can be aluminum, steel, or even ceramic. The Dutch oven has an extraordinary role throughout world history due to its portability and usefulness in making sustainable meals such as stews, soups, porridge, and beverages. Because people can also use dutch ovens outdoors and feeding large groups of people, the dutch oven has an important role in American frontier history, prairies, camping throughout the world, traditional African communities, central Asian and Russian traditions, large wedding dinners, and mountaineering. Dutch ovens have stood the test of time in creating great meals. The primary benefits of dutch ovens are versatility and portability. Dutch ovens are versatile in both type of meals as well as method of preparation. You can use the dutch oven for roasting, stewing, or even baking or frying. Famous meals prepared in dutch ovens include hearty stews, savory roast meat, chunky soup, goulash, gumbo, and numerous casseroles. Dutch ovens are also particularly useful for slow cooking recipes and temperature-controlled thermal cooking. A major benefit of this type of cookery is also portion control; these pots are big enough to cook for large groups but also suitable for single family meals. Many dutch ovens are also quite portable and can be used on camping trips or oven an open fire during outdoor festivities. From oatmeal or porridge for breakfast to roast dinners and even peach cobbler for dessert, dutch ovens are great for any meal. Some of the best-known brands of dutch ovens include Lodge, Le Creuset, Staub, Better Chef, Martha Stewart cookware, Calphalon, Bayou Classic, Camp Chef, and Cuisinart. From the names alone, you can see that these brands draw inspiration from a variety of dishes and traditions. Some brands, for example, have a great reputation for French recipes or even specialty Louisiana cuisine. Others have a reputation for old-world European recipes or homegrown American classics. 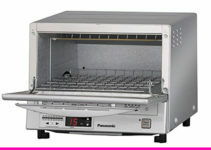 Many of the brands are suitable for both stove top and oven cooking. With today’s technology, you can also find modern elements such as electric settings, “no-stick” features, and “crock pot” style cookery. A look at the ten best dutch ovens will help you understand these features and choose the right pot for you. 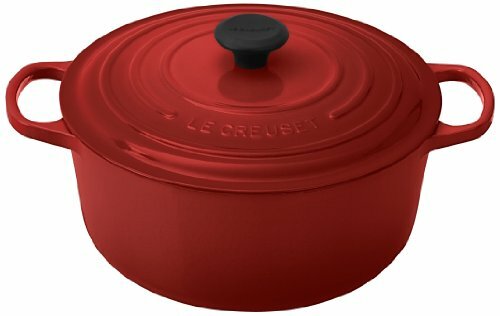 Le Creuset is the premiere name in French cookware. Specifically, this manufacturer has built a name in high-quality Dutch ovens since the 1920s. 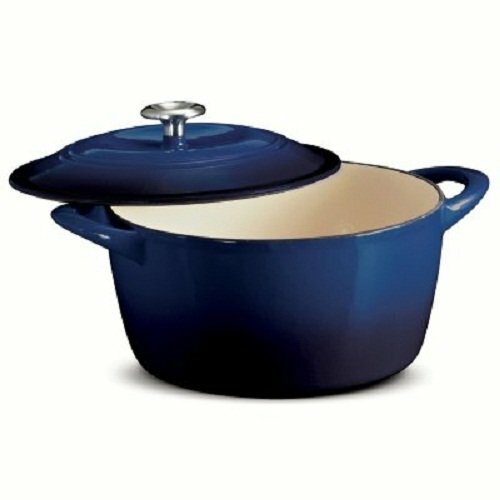 The Signature Enamel series dutch oven comes with large grip handles and an oversized top knob that is heat-resistant to up to 500 degrees Fahrenheit. These features help you maneuver the casserole dish easily, while reinforced enable keeps food warm and prevents chipping or damage to the cookware itself. As a French favorite, you can find this brand in a variety of fashionable colors to suit your kitchen. Staub is a famous traditional French cookware brand with widespread popularity abroad. Specifically, Staub crafts cast-iron dutch ovens known as “cocottes” in the French Alpine tradition. Manufacturers then double coat these cocottes with enamel to prevent rust and ensure easy cleaning. The signature Staub round cocotte has a snub-fitting lid with condensation ridge technology that ensures even flavor throughout the dish. The top knob resists heat up to 500 degrees Fahrenheit in the oven, while the smooth exterior allows you to cook on the stove top or even heat by induction. This specific series of Staub cocottes gets its design from the renowned French chef Paul Bocuse, who also supervised development of the final product. Food connoisseurs also praise the round cocotte for its excellent presentation, which is so well-liked that many restaurants serve steaming dishes directly to customers from the cocotte (similar to fajita skillet servings directly at the table). This Staub cookware also has a no-stick feature for easy serving. Tramontina enameled dutch ovens are oval-shaped cast iron cookery you can use on the stove or in your oven. With its easy grip handles and aesthetic appeal, you can also use this dishware as a portable casserole dish. The Tramontina brand is a Brazilian company that has produced cookery in the Italian immigrant tradition since the early 1900s. From this fusion design, you will get the best features of two renowned food cultures. The Tramontina dutch oven is made from quality cast iron glazed in enamel for easy cleaning and rust prevention. The special slope design also makes it easy to serve a number of dishes, including everything from risotto to roast and stews. This frontier-inspired dutch oven is ideal for outdoor and indoor use. Designed with the outdoors in mind, Camp Chef products allow you to enjoy wholesome cooked meals during camping, hunting, fishing, or hiking trips. You can also use this dutch oven indoors if you wish, or on the patio during backyard gatherings. 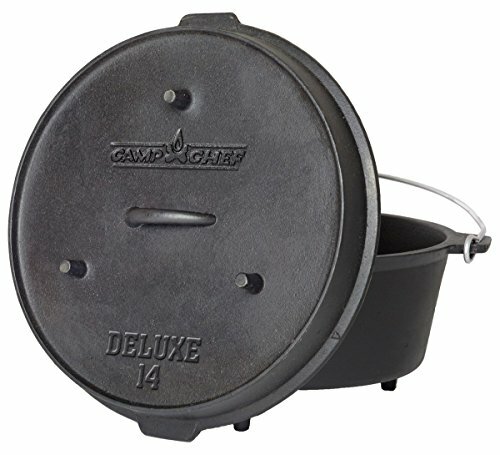 The Camp Chef Deluxe edition is a classic seasoned cast iron pot made in the Finish or Northern European tradition. For centuries, outdoorsmen have used this style of cauldron or dutch oven to prepare whole meals. Borrowing from this tradition, the Deluxe has a round carrying handle that also serves as a hanger when cooking over a fire. 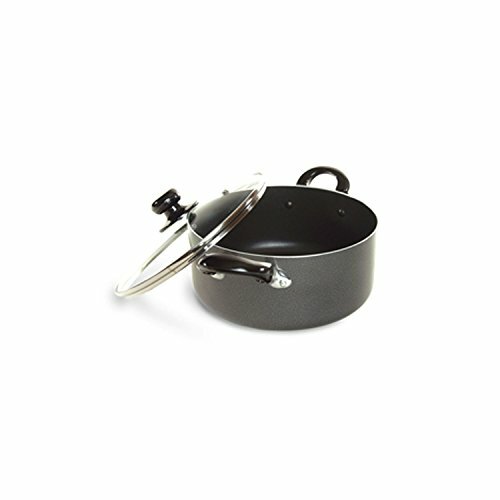 You can use this footed pot on surface or over a fire, and the removable lid doubles as a skillet for frying. This dutch oven also comes with a thermometer notch to prevent overheating as well as an ouch-less lid lifter. From griddle cakes to stew, you can prepare a great camping meal with this cookware. 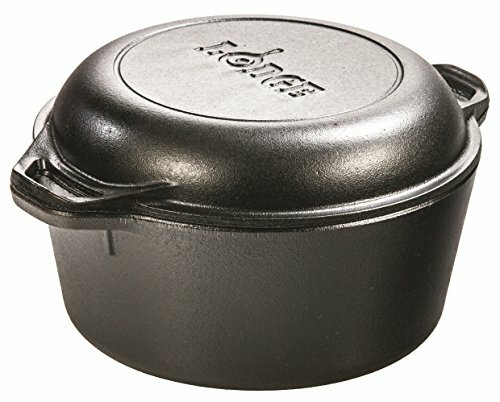 Lodge Double Dutch Oven and Skillet Casserole dish is one of the most highly-rated cast iron pots of all time. The Lodge company manufactures cookware in the classic American and mountaineering tradition. Founded in the late 1800s in Tennessee, Lodge is the only remaining cast iron dishware manufacturing still operating in the United States. With this stellar reputation, Lodge created this fusion dish that you can use as a dutch oven, cooking skillet, or casserole dish. It has secure handles for easy, portable transport. The manufacturer also preseasons each pot with static-coated vegetable oil. You can use this dish for a number of slow cooker or old-fashioned recipes. Calphalon Unison dutch ovens means double for your money. Specifically, this dutch oven has two surfaces that can cook two different dishes simultaneously. 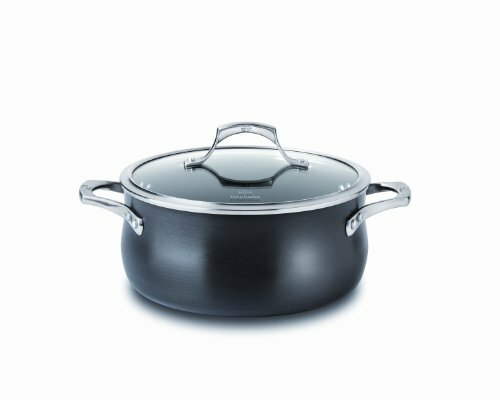 If you want to multitask with skillet and stewing, this pot can potentially cut your cooking time in half. Calphalon dishes are also known for their signature non-stick cooking surfaces. The Unison edition comes with a glass lid so you can see your cooking every step of the way, as well as stainless steel, high quality handles for easy and safe transport. The Unison series also comes with bonus sliding pans for searing meats or preparing omelets. Better Chef is an economy dutch oven designed for cooking a great variety of recipes. 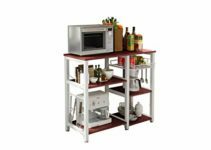 It is made from heavy duty aluminum and features a non-stick interior surface. You will also receive a glass lid to see your recipes throughout the stove top cooking process. Another great feature of the Better Chef dutch oven is that it is dishwasher safe. 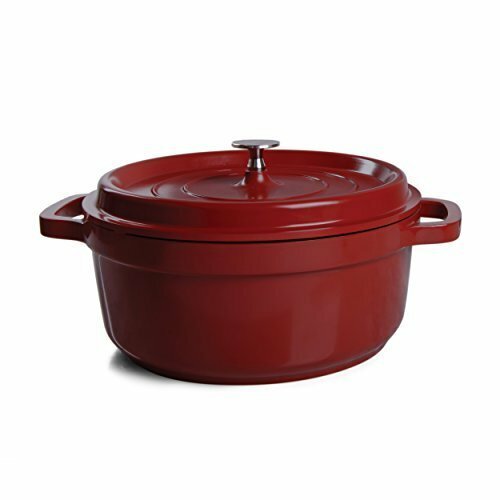 This dutch oven also features removable lid and handles for easy oven cooking and baking. Prepare bread, stews, and sauces in this large, easy-to-use pot. Cuisinart designed this sleek stainless steel dutch oven in the classic French tradition. With its great heat-distribution design and elegant shape, this dutch oven brings the best qualities of the classic French kitchen into your home. The dishwasher safe, stainless steel manufacturing also makes a good match for ultra-modern kitchens. Specially-designed handles remain cool throughout the cooking process. You can use this cookware in the oven or on the stove to make casserole, chili, fondant, sauces, and more. Due to its excellent heat distribution, this casserole dish is also great for simmering sauces and toppings. With this elegant round cookware, you will quickly understand why people refer to Martha Stewart as the queen of the kitchen. This classic round dutch oven allows you to bake bread and cobblers at high temperatures like a pro. It also makes an excellent casserole or family meal serving dish. Special internal condensation ridges help evenly distribute flavor throughout your recipe, whether you are cooking stews or baked cooks. 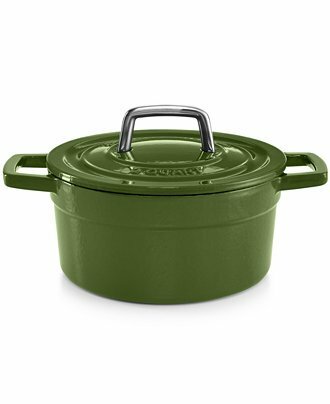 This dutch oven also comes with a double-glazed enamel interior, so you do not need to season it at any time. You can use this pot on gas, electric, glass ranges, or even induction stove tops and also simmer on stove tops at low to medium temperature levels. The casserole dish itself is heat-resistant to up to 500 degrees Fahrenheit, making it oven-safe for baking and other great recipe ideas. If you wish to try all of the signature Martha Stewart recipes that made her famous, this dutch oven is a must-have. A review of the best dutch ovens, slow cookers or rice cookers, would be incomplete without the best option from the Crock-Pot brand. The Edmound edition dutch oven will bring you the best features of traditional Western European cooking. 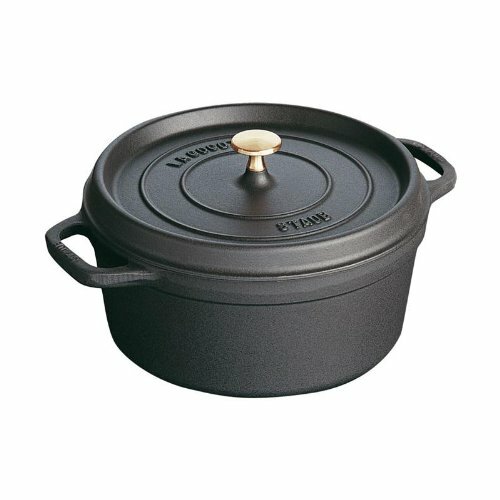 This dutch oven is manufactured from cast aluminum, making it safe for stove top and oven cooking. You can use this aluminum dutch oven on a variety of heat sources, including electric, glass, induction, or even ceramic temperature sources. This crock-pot features easy grip handles for excellent portability. 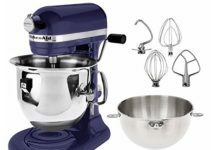 It also features a modern internal non-stick surface for easy preparation and cleaning. You can use this crock-pot for a large variety of slow-cooker and casserole dishes, including vegetable casserole, homemade chicken pot pie, holiday cornbread, baked ziti al forno or lasagna, and more. With this dutch oven, you can bring the great features of a Crock-Pot to your traditional family meals.